Glue laminated construction (glulam) products are large manufactured structural products used in commercial and residential applications. The idea of laminating lumber with glue for use as beams was originally conceived on job sites in Europe over 100 years ago. This engineered wood product is composed of multiple laminations of kiln-dried, end-to-end or finger-jointed lumber, each bonded together with phenolic resin, a high-strength waterproof adhesive. This process allows for longer and wider structural wood members. For designers, this structural wood timber product offers many options. It can be manufactured in vertical or horizontal orientations and can be straight, tapered, curved, or arching in shape. Typical uses include columns, beams, trusses, and decking. Both softwoods and hardwoods can be used in a glue laminated member. Typically used species include Douglas Fir, Larch, Southern Pine, and Alaskan Yellow Cedar. 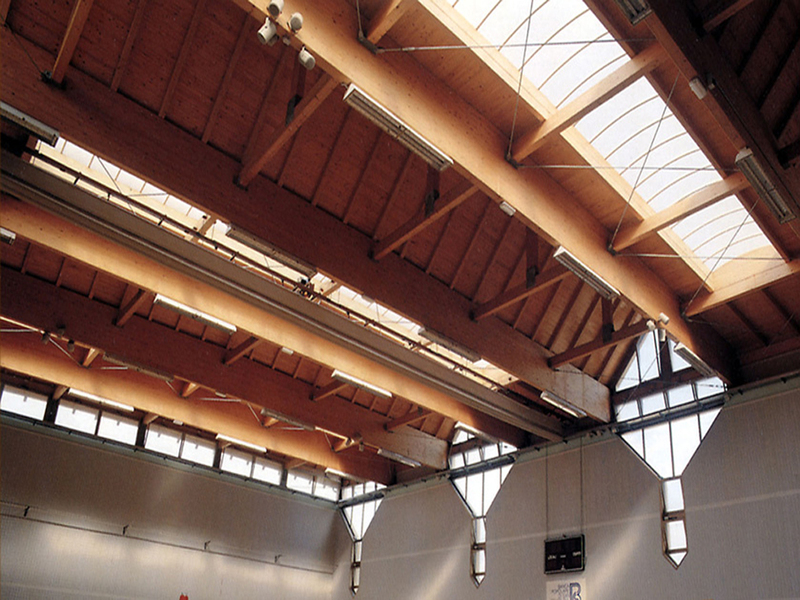 In contrast to most structural wood, glulam can be left exposed and offers an aesthetically attractive appearance. The Engineered Wood Association (APA) has established an appearance classification grade for glulam: Premium Appearance (PREM), Architectural Appearance (ARCH), Industrial Appearance (IND), and Framing Appearance (FRAMING). 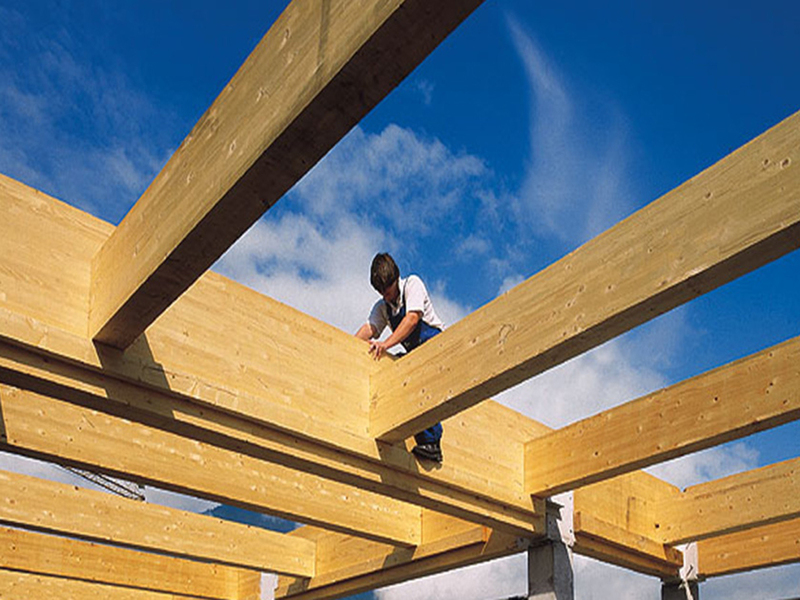 Glulam structural members offer many advantages over standard dimensional lumber: it has superior strength and the ability to span longer distances, and there is only minimal shrinkage or warping. 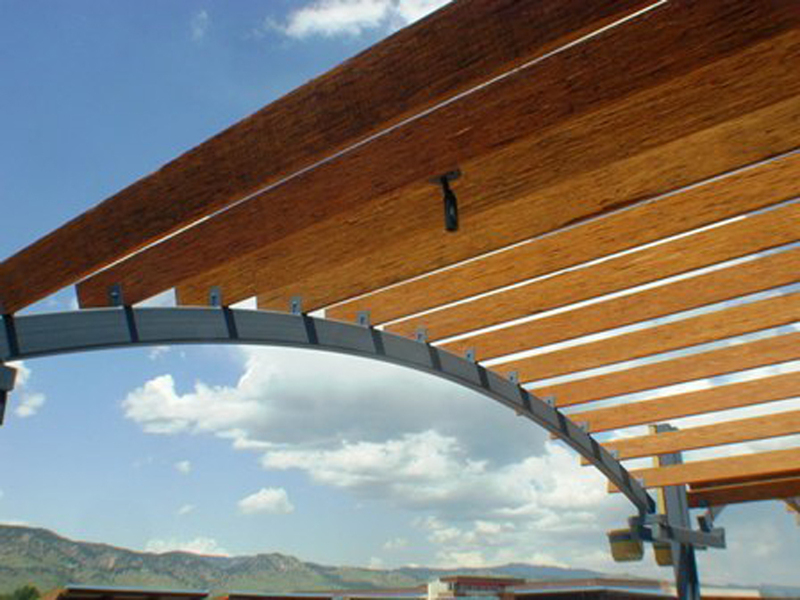 In comparison to steel, glulam spans a longer distance with lighter-weight members and fewer vertical supports. In addition, the tools or fasteners used with glulam are typical for those found on a job site using standard dimensional lumber. 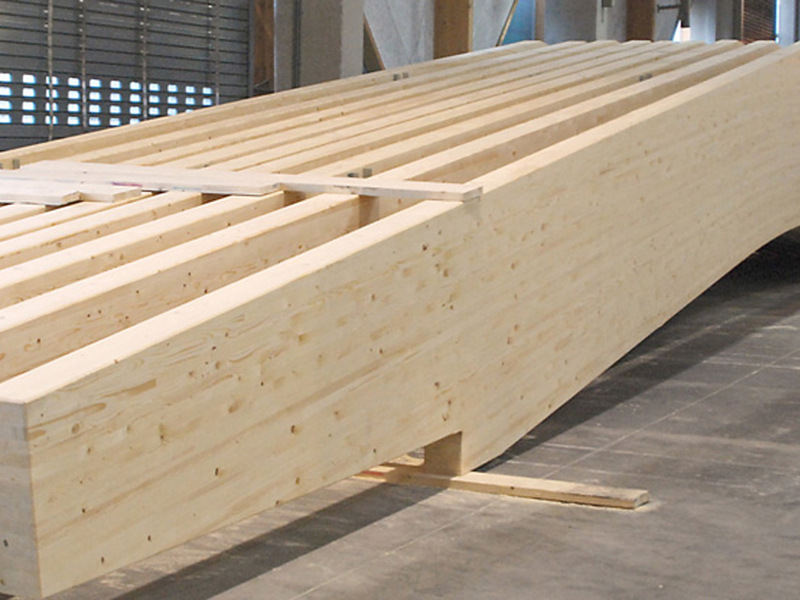 Sizes of glulam members are limited only by transportation and handling restrictions. They can have multiple laminations in either the horizontal or vertical directions, increasing the member's width and height in response to design-specified performance and strength requirements. Industry standards dictate the width of each lamination based on wood type; e.g., western softwood is 1-1/2”, and southern pine is 1-3/8”. Single laminations across the width can be up to 10-3/4" wide, and additional laminations increase the width. Depth of members can range upward of 3” with increments increasing at 1-1/2" or 3/4", depending on the species. 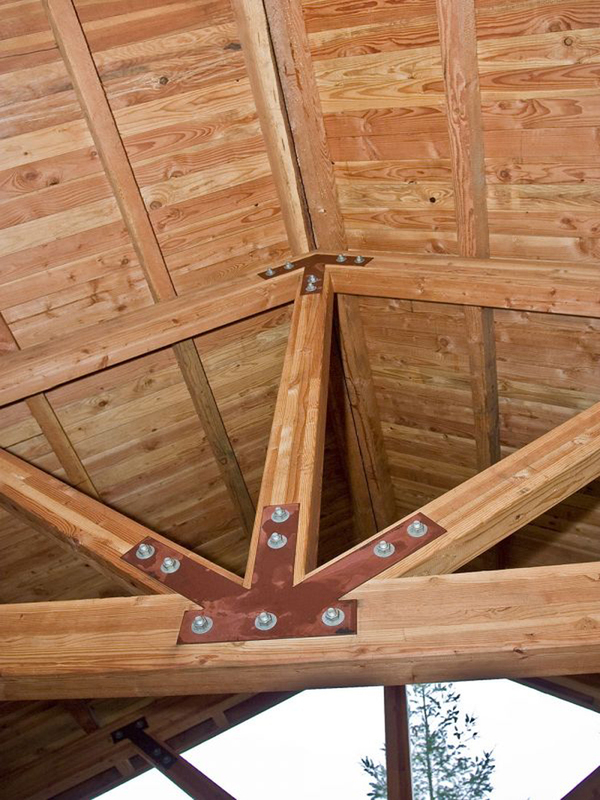 Glulam can bear on wood, concrete, or steel and can be connected by using common steel caps, plates, or angles with framing nails or lag screws. Floor framing members can bear on top of glulam beams and can be toe nailed or flush mounted by using a common hanger with framing nails. ANSI/AITC Standard A190.1 for Structural Glued Laminated Timber governs the manufacturing requirements of glue laminated construction.